Benevolent Bars are good for you and delicious to eat. They contain no flour, no refined sugar, no preservatives. 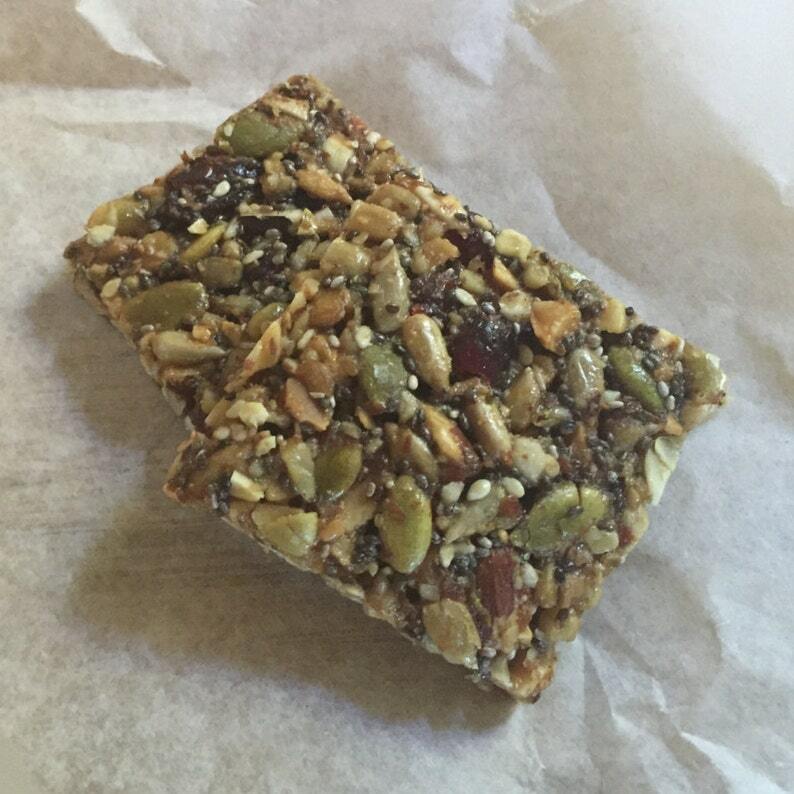 They are seedy, nutty, crunchy energy bars with a fruit accent, the perfect item to carry with you on airplanes, on a hike, or just to have around when you want a high protein, salty-sweet snack that's not going to give you a carb crash. I bake them when you order and payment is received, and then ship by Priority Mail so they will be as fresh as possible. Benevolent Bars come in packages of 4. If you purchase two packages, the second package ships free (to the same address). Allergen warning: Benevolent Bars contain nuts, and are made in a kitchen that has exposure to wheat, dairy, and soy. What sorcery did she use to make this? It tastes amazing. What a healthy snack for the family. Not too sweet. Just perfect. Love it! Absolutely delicious...with wine, cheese or as a luxurious treat right out of the package.